C'mon, everybody likes the mall. I like it. You like it. And that person over there likes it. Even giant mecha like it! 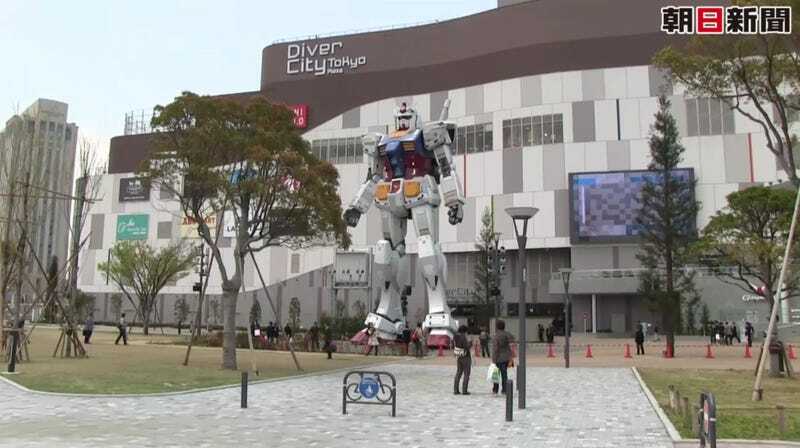 The latest life-sized Gundam was completed in front of a shopping mall in Tokyo's Odaiba. Besides the typical array of mall stuff, this shopping hub will also have a new theme park dedicated to Gundam. Above is a view of the giant Gundam outside the mall.